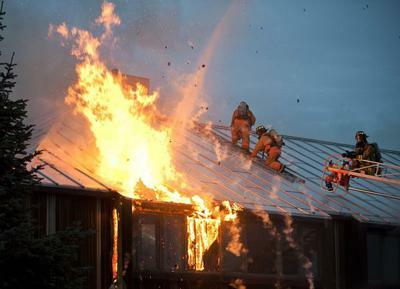 Q: What is the journal entry for the claim recovered from fire insurance? A: This depends on the exact asset/s that were destroyed in the fire and to what extent they were covered. Let's take three examples. 1) Let's say a storeroom and its contents, valued at $60,000, were destroyed by fire. The insurer pays your business $60,000. 2) Now let's say the agreed amount of the claim was $50,000 instead of $60,000. In this second scenario we record the loss (the difference between the value of the asset lost and the amount of the claim) of $10,000. For asset/s that were destroyed that were subject to depreciation, one would take out the accumulated depreciation account too. 3) A delivery vehicle, which had a cost of $10,000 and accumulated depreciation of $3,000, was destroyed by fire. The insurance claim amounted to $5,000. There you go. Hope you enjoyed our answer for What is the Journal Entry for an Insurance Claim? See below for more insurance claim questions... Good luck! Comments for What is the Journal Entry for an Insurance Claim? What if our equipment are insured on a replacement cost basis? My Net Book Value of the equipment is $10,000 but when the insurance company replaces the equipment, the equipment value is $25,000. What will be the entry for this situation? Can you please tell me what should be the journal entry for Workers Compensation Claim Received? Not sure about Workers Comp - because I'm not sure if your company pays the injured employee directly or the insurer pays the employee directly. Only make an entry if your company pays the employee and then receives insurance payment back from an insurer. If the insurer just pays the injured employee directly then it does not affect any of your business assets so then I don't think any journal entry would be needed. If a motor vehicle of a company with cost of 2,000,000 Naira (Nigerian currency) and accumulated depreciation of 800,000 had an accident insurance claim of 1,500,000 for the lost motor vehicle, what will be the accounting entry? If there is no insurance claim insured on a loss.. The company will bear the whole loss by recording it as an expenses in Profit/Loss account.. Your explanation of Journal is very useful and prompt solution. Thanks. If a company bear losses of assets and stock by fire 500,000 Rupees for Stock And 2,000,000 Rupees for assets but company received only 300,000 Rupees for stock and 1,500,000 for assets what would be the relative entries in P& L and Balance Sheet of the company in the year when loss is incurred and supposing the insurance claim is received in the next FY? A: If during the first financial year they already expect to receive the insurance claim for 1,800,000 total, they can record a receivable for this amount. If they were not sure in that first year if they were going to receive any insurance then they would record the full loss in that year. And the next year they would record it as an income. A company bears losses of assets and stock by fire - 600,000 Rupees for Stock And 2,000,000 Rupees for assets. The company received only 300,000 Rupees for stock and 1,400,000 for assets. What would the entry be? When the insurance company admits the claim and only pays half the money? What is the journal entry for receiving the compensation? I have purchased a car 36,000, during the transport between the car factory to my garage. The transporter has crashed my new car and have been written off. We have received the compensation from the transport company 39,250.
how do I treat the journal for sage? i want to know the journal entry for the loss by accident of lets say $1000 and there is no insurance at all. what if the employee was injured and requested for compensation. the company has forwarded the compensation claim to the insurance company. Not sure about this. I'd say that if your company pays the injured employee directly then you should do an entry. But if the insurer pays the employee then I don't think you would need to make any entry as no assets of the business have been affected (you are not making payment and you did not lose any recorded assets). 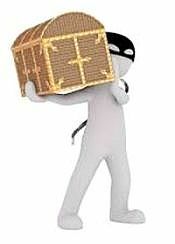 What is the Entry for the Claim Recovered From Stolen Goods? Q: In the case of claim receivable from Insurance for stock stolen from a shop, where would the credit be posted and under what group of accounts in Tally? Wind glass of office vehicle was broken by stone during riot. Insurance company was informed about this. Insurance company asked for quotation or original bill of glass repair. Vehicle was sent to showroom for repair and showroom was paid Rs. 10000. and original bill of repairing cost was sent to insurance company. After one month, insurance sent the cheque of Rs. 8000. Is the below journal right? Yes these entries you wrote above are correct. From these 2 entries there will be a debit balance of 2000 for vehicle repair, which is the difference between what the repair cost us (10000) and how much the insurance paid us (8000), which leaves us with a 2000 loss or expense which will be recorded in the profit and loss. Well done on getting it right!